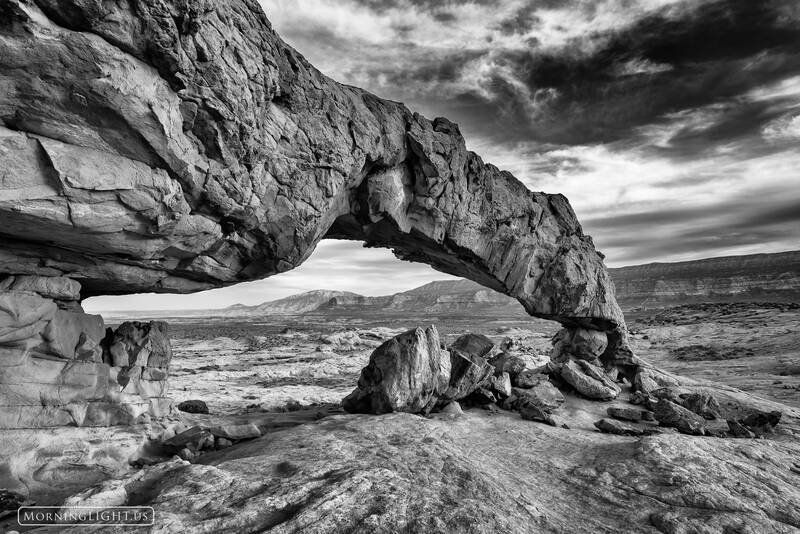 As you hike through a big sandy plain it seems like you will never find anything but more sand stretching onward for miles, but then you come over a ridge and there is this wonderful arch out in the middle of no where. I spent quite a few hours here just enjoying the scene and the amazing silence of the place. Photo © copyright by Erik Stensland.